1. Yarsley’s before the merger. For information about the background and history of the Yarsley organisation, one could do no better than refer to an article, [Ref 1], written in 1964 by Dr Yarsley himself. He describes how he started out in 1931 as a lone individual specialising in research in the field of cellulose plastics and related products. After 10 years of lone effort, the requirement for process and product development increased in the ever-expanding field of newer plastics and polymers. This was especially true in the war years when demand for additional understanding relating to these newer materials required more personnel with specialised knowledge to be recruited. 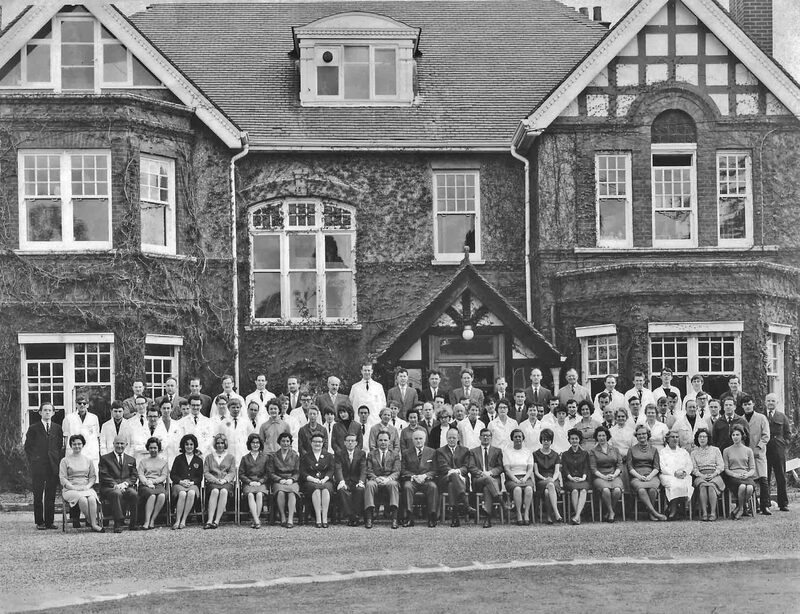 By 1950 about 20 staff worked with Dr Yarsley in new larger premises at Chessington in Surrey. In 1951 the organisation was converted into the limited company Yarsley Research Laboratories Ltd, and continued to grow in staff numbers. At the heart of its operations were sponsored research, development and testing, mainly in the field of polymeric materials. In 1956, the division of the company, which specialised mainly in testing work, was formed into an independent company, Yarsley Testing Laboratories Ltd, and in 1966 they moved to separate premises in Ashtead, Surrey, as the Chessington site had become too small for both companies. Yarsley’s was a unique, thoroughly enjoyable and challenging place to work. Dr Yarsley himself made it his business to talk to all grades of staff and take an active interest in the projects they were engaged upon. He was a great encourager and an inspiring man who was held in very high regard by all. He was like a father figure in the organisation, rather like a big happy family. Everyone felt appreciated and boosted by his interest in them. The variety of projects undertaken was interesting and satisfying, and often extremely demanding, but everyone worked well together to try to achieve what the client sponsoring the project hoped for. Some assignments were short-term investigations for individual entrepreneur sponsors, and either small or large companies, whilst other projects ran for many years especially those for UK Government Ministries or overseas agencies. Some members of Yarsley staff were fortunate in that they could, (by agreement with the client and an academic institution), use their work in the long term projects on which they were engaged to further their personal qualifications by studying for higher degrees, such as MSc or PhD, provided the confidentiality constraints of the contract permitted this. In April 1971, Dr W.E.Duckworth, Director of Fulmer Research Institute, wrote an article entitled “Fulmer: the future” [Ref 2] in which the following statement was made. At about this time, (1971/1972), Yarsley staff became aware that “something was going on” when a number of important visits were made to the Yarsley Laboratories by a man in a posh car driven by a chauffeur, complete with his chauffeur’s hat!! Yarsley staff at Chessington and Ashtead were eventually informed that a cooperative arrangement had been agreed between the Yarsley and Fulmer organisations to work together, but at that stage it was not specified quite what that meant. It is recalled that very little seemed to happen initially, but some Yarsley Research staff received what can best be described as “brain-picking” enquiries about plastics materials selection, and plastics enquiries in general, from one who was apparently Fulmer’s plastics man. There is no recollection of being asked to get fully involved in whatever projects were at the heart of these odd questions. There was however one big Fulmer project around this time, (if memory serves correctly time-wise), for which the Yarsley personnel were requested to participate, namely the provision of plastics and polymers data for the “Fulmer Materials Optimizer”. A research number was allocated for our time sheets, but with all the goings-on at Chessington at this time it was not a welcome addition to our hectic life at this juncture. Additionally, since many of our projects involved selecting the most suitable plastics material and processing method for a proposed product, we were in the business of selling this type of expertise to clients. Some thought that to produce a book with it all in would be counter-productive to our own work in many instances. As time went on one wondered whether this was the intended nature of the “cooperative arrangement”, or was there a more significant outcome to be expected in view of the statement made by Dr Duckworth for the two organisations to “join forces”. How extensive would this joining forces be? What would be the position regarding keeping the existing Yarsley sites open, and the employment security of the employees? Firm denials were made by the Directors of Yarsley’s to direct questions posed by staff anxious about their future, but it was not long before the true meaning of “join forces” became apparent, and eventually it was disclosed that a full merger of the two companies was the intention. Ultimately the Ashtead site would remain, but the Chessington site would eventually be closed down completely. This situation caused tremendous consternation and anxiety to those of us who had deliberately chosen housing near Yarsley’s to avoid having to travel long distances to work. Nearly all staff lived locally to Chessington. There were three very long-term employees who lived directly opposite the Chessington site, quite a lot more who had only a few minutes walk to work, whilst many came by cycle, moped, and scooter/motorcycle, and some by cars from no more than about six miles away. To put it mildly, this was a most disturbing, unsettling and distressing time for many. Eventually it was made clear that some from Chessington would be accommodated at Ashtead, whilst others would have to transfer to working at Stoke Poges, and those who were less fortunate would not be required at all. By April 1973 the moves were on. The precise timing of when this event took place cannot be specified, but it is well remembered. Yarsley’s senior staff were transported to Stoke Poges to give short presentations about their work to gathered Fulmer senior staff in what was then the ground floor conference room in the main Fulmer old-headquarters building. The writer clearly remembers being called to be first-up to give an account of the work done by the plastics processing section, illustrating this with many mouldings and products which typified the types of projects we worked on. For example, there were transfer-moulded natural amber billets used as insulators in the NPL’s National radiation standards monitoring equipment. Regular orders were received to produce these billets. 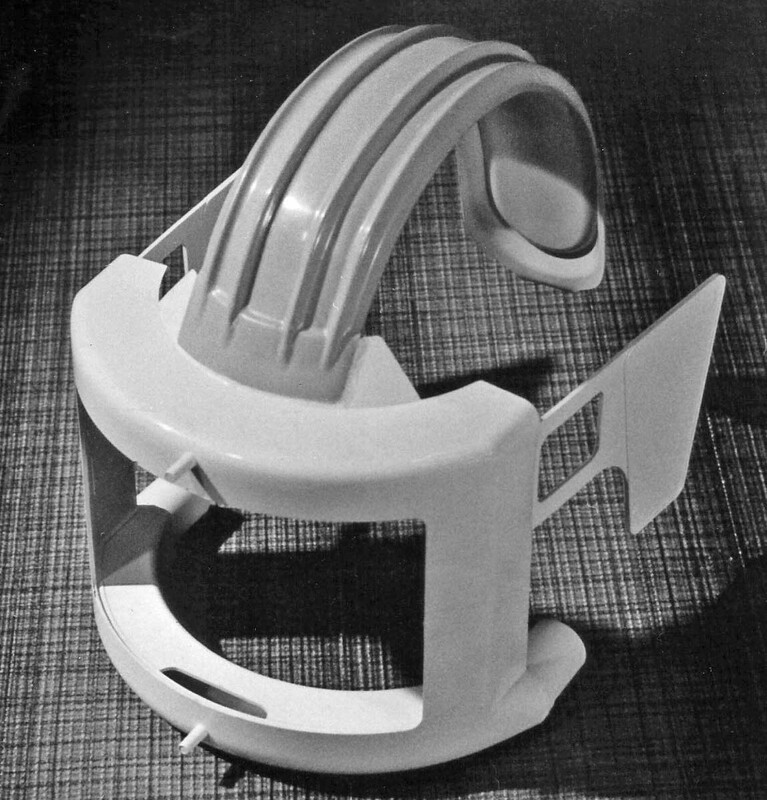 Another product which we regularly injection- moulded, (having gone through all the development stages to achieve what the client wanted), was a special type of surgeons helmet, namely an air-conditioned mask as part of a theatre-suit for surgeons to wear whilst carrying out hip replacement operations. The plastics processing section had also developed compression moulding techniques for the production of thin films, sheets and thick blocks of a commercially available transparent polymer, known as TPX which, it was found, had unique transmission properties in the far-infrared region of the spectrum. This material in block form could then be machined down and polished to make special lenses for apparatus requiring this particular ability to transmit light in the crucial spectral range for optical, often astronomical, research and production equipment. TPX was also extruded into rod form, and this product was sold on a regular basis to clients who were producing small machined lenses and transparent heat resistant components for internal combustion engine timing and tuning equipment. Other colleagues from Yarsley’s similarly presented their examples of typical projects. These included the formulation of paints, varnishes, lacquers, and surface coatings of all types. There was also chemical synthesis work, to produce novel polymers in film form, for example to make membranes for reverse osmosis desalination of sea-water. Also mentioned was synthesis of chemical intermediates for manufacturing bespoke compounds, adhesives, thin film technology, and studies of corrosion resistant coatings for steels used in the construction of bulk shipping containers which were carrying a whole range of liquid and solid chemical cargoes. These are some of the areas that were covered on that occasion. After the presentations many of the Fulmer staff seemed to be very surprised and impressed with the breadth of what they had heard, and some of them swooped on Yarsley folk to ask how did we get in touch with all these impressive clients to get the sponsorship and projects we did. What marketing strategies did we have? Quite frankly, marketing was a low-key activity at Yarsley’s; we had one man who looked after that area, but the word of mouth and the quality of the work and company reputation seemed to be the most important selling factor to us. There were however criticisms voiced from some Fulmer staff, who did not agree with, or like the idea of regular production moulding operations being carried out, as Fulmer was a research place and production work was not what we were supposed to be doing!!!!! Such reservations however did not stop us carrying on with such work, which formed a natural follow-up to development work and also provided the clients with pre-production quantities to get products and applications established. It was also a good earner for the company coffers. Additionally there was the opportunity for spin-off publicity based on some of these production-moulding assignments; examples of three are as follows. [Ref 3] “Yarsley supply plastic for eclipse experiments”. Thick TPX block, (with unique transmission properties in the far infra-red region of the spectrum), used in important experiment flying in Concorde whilst chasing dark path of total eclipse. [Ref 4] The surgeon’s helmet mentioned above featured in this reference. [Ref 5] The surgeon’s helmet featured again, and also in this reference the injection moulded casting cups (mentioned later in section 8) for the production of billets from which soft contact lenses were made. 4. Making space at Fulmer for Yarsley’s personnel and equipment. Much to the obvious displeasure of some future colleagues at Fulmer, they had to vacate their laboratory and office spaces to make way for the Yarsley arrivals. It was made clear they were not best pleased with having to move out and give up some of their territory. There was a brand new two storey building with laboratories and office accommodation built at Fulmer, and it is believed construction of this building was completed shortly before the announcement was made that someYarsley personnel and facilities would be moving into the Stoke Poges site. It is understood that Fulmer staff had thought these extra facilities were to be for themselves. However, along came this merger and Yarsley personnel were told to occupy some of this newly created space. This new building was subsequently named the Yarsley Building although not all transferred personnel from Chessington worked in there. Also, a precast concrete building, (rather like a large glorified garage), was built on a car-parking area at the rear of the Yarsley Building. This was known as the “Cranleigh Building” and its purpose was to house much of the synthetic chemistry work from Yarsley’s. We were informed that the plastics processing section and all of its equipment would be sited in one wing of the Foundry building at Stoke Poges. [To provide the foundry staff with some extra space to compensate for the loss of one wing of the foundry building, a precast concrete garage was erected on land immediately behind the foundry building]. Once the foundry area had been agreed for the location of the plastics equipment, detailed measurements had to be made so that plans could be drawn up to show the intended placement positions for the plant. The individual pieces of equipment had to be sited in such a manner that there was adequate area for access and working around the plant in a practical, safe and efficient manner. 5. The move to Stoke Poges. Of all the laboratory and office equipment, apparatus and machinery which was to be moved from Chessington and re-sited at Stoke Poges, by far the heaviest and largest items were the plastics processing section’s plant. This consisted of a large injection moulding machine, three smaller injection machines, a two roll mill, three large compression presses, two smaller presses, an extrusion line, drying cabinets and ovens, oil heaters and a host of ancillary support equipment. In addition there was a collection of heavy injection moulding tools, compression moulds, and many bags of plastics materials for moulding work. A contractor with heavy lifting gear was engaged to move and transport everything. It is recalled there was very little time between the foundry space being made available and the Yarsley plant moving in. There was pressure to get the facilities moved over to Stoke Poges from Chessington as soon as possible, but this haste did not allow much opportunity for any preparative work to be carried out ready to receive the equipment. The foundry area had been used amongst other things for shot-blasting operations, and it is recalled that one of the rooms allocated to us was deep in grit and muck and all this had been left for us to clear out ourselves before we could contemplate moving plant in. (The mucky state the place was left in was viewed as a deliberate indication of the displeasure the previous occupants displayed at having to relinquish the space. That was indicative of an unwelcome reception we would have to get used to.) However, once the area was sufficiently cleaned up, the contractor was able to move the plant in and site it in the allocated positions on the floor plans drawn up previously. The access to the main foundry area allocated to us was via a rather narrow corridor, and it was a work of art to get the largest of the injection moulding machines through the space available. There were only a few millimetres of clearance on either side of the machine as it was coaxed on its moving skates through the corridor. Having all the plant placed in the room and sited in the correct positions, the next phase was to bolt it down to the floor where necessary and connect up to the relevant services. Not an easy task without ready access to plumbers, electricians, and steel erectors on site. The plastics plant needed a gas-heated steam boiler to be purchased and installed to supply steam at high pressure for the mill, some of the presses, and polymer drying ovens. This all had to be installed together with compressed air lines and numerous electrical power outlets. Additionally, an overhead trolley, hoist and lifting facilities on a stout girder was needed for the heavy injection moulding tools to be lifted into and out of the moulding machine. Several local sub-contractors had to be found to deal with the steam plant installation with associated plumbing, the major electrical works and the overhead lifting equipment. This all seemed to take ages to get completed and to get back into full operation after the move. 6. Yarsley’s staff travelling arrangements. A 12 seater Ford Transit minibus was provided for collective daily transport of the rest of us. Len Pigrome would be the main driver, and passengers were as follows. Winnie Pigrome, Miss Chadbund, Ivor Atkinson, Dave Mugridge (relief driver), Jim Jappy, Bob Tidswell, Gordon Jamieson, Wiktor Mikucki, Vic Titow (part time at Ashtead and part at Stoke Poges), John Shelton (sometimes used own car). The minibus was stored at the Chessington site until the site finally closed, and thereafter at the house opposite the site where Len, Win and Chad lived. Users of the minibus had to be at the start point at a given time, and any company post from the Chessington site was picked up and taken on the minibus to Stoke Poges daily. The journey from Chessington to Stoke Poges was extremely arduous. The route was via Hampton Court, Sunbury, Staines by-pass, Stanwell Moor, the back of Heathrow, Colnbrook by-pass, Langley, Slough and then Stoke Poges. These were some of the busiest and most congested roads in the South East, and this was all well before the M25 existed. It was an horrendous journey especially in wintertime. There were many occasions when someone did not turn up on time. Should we all wait? Should we go? At the end of the working day for the return journey, some folk could be delayed in finishing their work and everybody had to wait. The tedium of this daily travel took its toll on most people. We were known at Fulmer as the travelling circus! There were however some lighter moments involved with this minibus travel, and one in particular always brings a laugh thinking about it. It was Len Pigrome’s habit to collect the daily post from Chessington at the last minute before departure, and place it on the step inside the driver’s door. Len often felt more comfortable driving if he unfastened his trouser waistband buckle. One day we were fast approaching the large roundabout at Slough, (it was called the greyhound roundabout). Len had to apply the brakes sharply to give way to traffic coming round towards us, and at the moment we stopped abruptly, the driver’s door of the minibus somehow flew open wide and all the daily company post fell out on the road and was getting blown around. Len promptly leapt out to retrieve the post and his trousers fell down, and it was an hilarious sight seeing him trying to pull his trousers up with one hand whilst running round attempting to pick up the post with the other!!!! It was the lighter moments like this which somehow kept us all sane. The travelling circus worked quite well on the whole, but there was an occasion when the minibus was borrowed during the working day by a Fulmer member of staff needing to make a short journey locally, and they had an unfortunate accident which completely wrote off the vehicle. Luckily the company was able to hire two large estate cars in the emergency, and the travelling circus got home that day albeit rather late. Eventually another minibus was obtained and normality resumed. 7. Reception of Yarsley’s personnel at Fulmer. Mention has been made in preceding sections 3, 4 and 5 that there was some resentment expressed by a few Fulmer personnel at the import of Yarsley’s to Stoke Poges. It is perhaps understandable that those Fulmer personnel, who had to give up some of their territory to make way for the incomers, would feel aggrieved at being displaced. Similarly some of those at Stoke Poges who were expecting to have new and better facilities in the two-storey “Yarsley” building they had seen being built were also to be disappointed by some of the new space being allocated to the incomers. At the same time, it is worth noting that the Yarsley personnel were also aggrieved at having to uproot themselves and transfer to a site many miles from where they would have preferred to remain. It was not our choice for this situation to arise, so both sides had to grin and bear it and do our best to integrate, and smooth over the cracks to develop good working relationships. However, as time went on relationships improved, as did cooperation. It was a bit of an uphill struggle to get things done in the early stages after the move, as there were certain key people at Stoke Poges who were not too keen to cooperate at the outset. In particular, the work of the plastics section was heavily dependent on engineering support, for example making various jigs and fixtures for moulding work, and from time to time also making simple moulding tools. Requests for help at early stages were met with much resistance from the chief engineer saying his men were not employed to support this type of work, but pure research was their priority. He also made it clear that unless one was a member of a Lodge, (the handshake club), one would find it difficult to progress at Fulmer. This same type of attitude was also seen in the electrician, who was very choosy about whether he could or would help with requests for electrical work which was essential to our works progress. As a result of this, especially at the early stages of establishing the facilities following the move, outside contractors had to be called in to meet the requirements. Additionally to start with when injection moulding tools were required, even very simple ones, help was provided by a small engineering workshop on the Slough Trading Estate. Good diplomacy fortunately overcame most of these difficulties in time, but there was often a hint of unease between the Yarsley and Fulmer personnel as was demonstrated by a senior Fulmer person who actually said “you bloody Yarsley people” during a discussion of some particular issue. One never felt entirely comfortable when there was an obvious undercurrent just below the surface. 8. Examples of collaborative projects. The writer of these notes was principally involved with the plastics processing section and its activities and therefore can give some examples here where cooperation between different areas was demonstrated. There was a subsidiary company known as Fulmer Components Ltd, and they required moulded plastic housings to be developed and moulded in which to embed what were called their electronic delay-units. A plastics materials selection exercise was carried out to choose a suitable polymer from which to mould the required parts. Simple injection moulding tools were designed and made, trial mouldings were produced, and once the final products had been assembled tested and approved, many thousands of what were called delay unit covers were moulded in-house at Stoke Poges for our colleagues. There was more than one type of delay unit, the electronics being varied from one sort to another. However, they all required the same size of cover moulding into which the delay unit was assembled. To distinguish between them, differing embossed identification markings were moulded into the covers. The mould tools were designed to allow the identification plates to be quickly and simply interchanged as required. The chemistry section had research projects for several different clients relating to the development of special hydrophilic polymer materials for the manufacture of soft contact lenses. Colleagues required small plastics moulded casting cups, [pictured in Ref 5], of specified shapes in which to cast their liquid polymers. These assemblies were then subjected to an oven curing stage, which converted the originally liquid starting material into a hard solid form. The hard solid product had to be ejected from its plastic mould in which it had been cured. 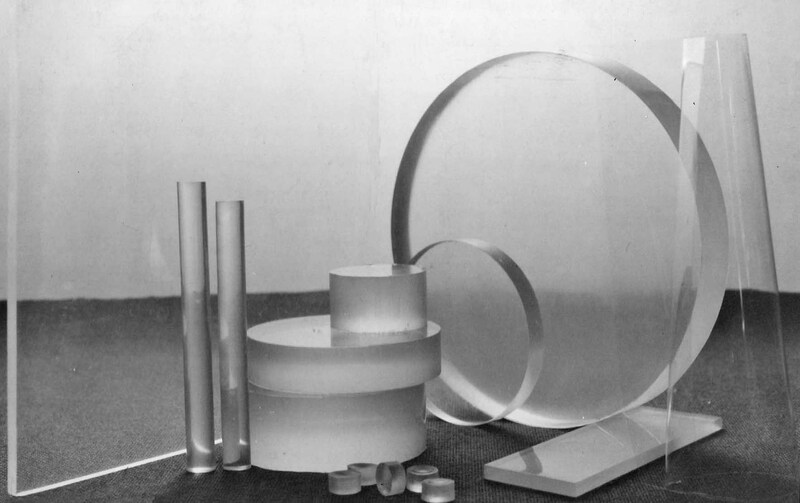 These hard billets of polymer were sent for machining to produce the final lens forms required, and when rehydrated resulted in soft and pliable contact lenses. There were requirements for several different curvatures to be incorporated into the moulded casting cups in which the liquid was cured, and these curvatures saved on machining operations and time when making the final lenses. Many tens of thousands of these small moulded components of various shapes and sizes were made to enable our colleagues to supply their clients with lens billets. The plastics processing section had a series of compression and injection moulding tools in which to make British Standard, ASTM, and other standardised test specimens. Standardised test specimens were required to establish the electrical, physical and mechanical properties of plastics moulding materials, of both thermosetting and thermoplastic types. Yarsley Testing Laboratories at Ashtead was frequently requested to carry out quality checks on polymer supplies. The mouldings they required for these tests were now produced by us at Stoke Poges as we had done previously from Chessington. It is recalled that at Stoke Poges there was a project connected with a naval mine-hunter vessel constructed in glass-fibre reinforced plastics. With our compression moulding facilities, we were able to provide assistance to our colleagues with the preparation of experimental sheet laminate samples for property evaluation work on this project. 9. 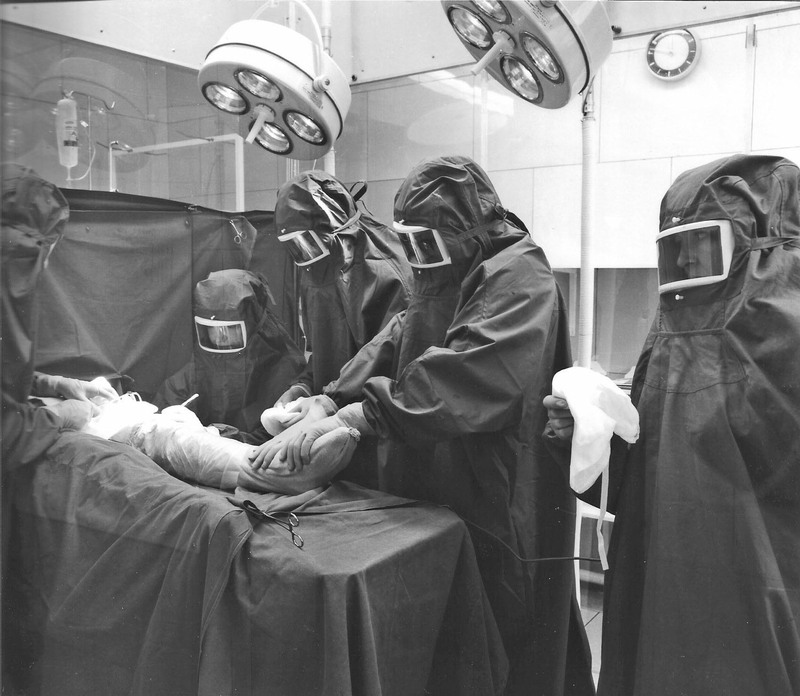 The acquisition of IPEC, formation of YPEC, and the 1977 move to Redhill. In January 1976, [Ref 4], it was announced that Fulmer had acquired the Independent Plastics Engineering Centre, (IPEC) which was based in Newhaven, Sussex. Following this acquisition, the Yarsley Polymer Engineering Centre, (YPEC), was set up as a new division of Fulmer, and this was established to incorporate all the plastics processing, development and polymer engineering services available in the Fulmer group. The Yarsley personnel at Fulmer specialising in plastics and polymers worked closely on various projects with the colleagues formerly from IPEC at Newhaven but now part of the Fulmer group. However, the considerable distance between Stoke Poges and Newhaven was not a very convenient way to operate. In early 1977 Fulmer acquired another large site at Redhill in Surrey which would enable the Yarsley folk to return from Stoke Poges to the area close to their original roots, and at the same time permit the Newhaven staff to commute to Redhill, all together on one site. The Redhill site was large enough to allow Yarsley Testing Laboratories staff from Ashtead also to be accommodated, and ultimately the Ashtead site would be closed down. The news of a site at Redhill to become our new place of work was greeted with much relief by those from the travelling circus. Over the four-year period, from 1973 to 1977, all had been much wearied by the daily commute in the minibus. There was one member of the travelling group who had become so fed up with it that he was in the process of preparing to move house to be near to Stoke Poges. Apparently his arrangements were quite advanced and had almost reached the completion stage when the news of the Redhill site was announced and he had to cancel his plans to move. Here we go again!!!!! All the Yarsley’s equipment, which had been moved from Chessington and installed at Fulmer just four years earlier, was unbolted again and prepared for yet another move. The plastics processing section moved from Stoke Poges to Redhill on 4th July 1977. Presumably, colleagues at Fulmer were then able to reclaim their previously lost territory. It must have been about the last quarter of 1977 that the IPEC personnel from Newhaven, (now part of YPEC), also moved into the Redhill site with all their injection moulding equipment, as well as their other work which involved the supply of ancillaries, and manufacture of temperature control equipment, for moulding work. Eventually, the Redhill site embraced a very wide range of activities, namely polymer engineering, consultancy, physical, mechanical, electrical, thermal and analytical testing, as well as fire testing and building investigations, all under a new company name,Yarsley Technical Centre, (YTEC). Chemistry and Industry. February 1st 1964. pp 168-178. Research Establishments in Europe: 35. The Yarsley Research Laboratories, by V E Yarsley. “Fulmer: the future”. Physics Bulletin Vol 22 April 1971. Fulmer News no.23 September 1973. Fulmer Newsletter no.32 January 1976. Fulmer Newsletter no.38 May 1979.